Because nothing beats a juicy roast chicken with delicious sides, we decided to combine them all in one mouthwatering dish. 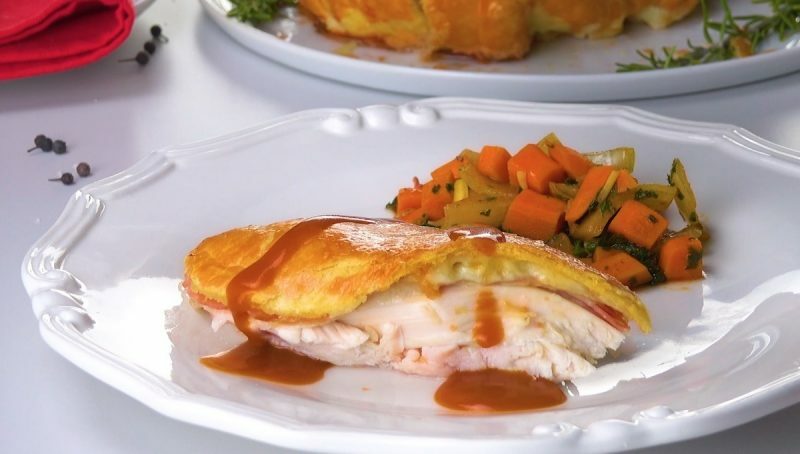 If you consider yourself a meat lover, then you're in for a real treat with this hearty inside-out chicken cordon bleu filled with stuffing and wrapped in pastry crust. 1. Preheat the oven to 350°F. To prepare the pastry dough, add the butter and water to the flour, process into a smooth dough, and refrigerate for at least 2 hours. 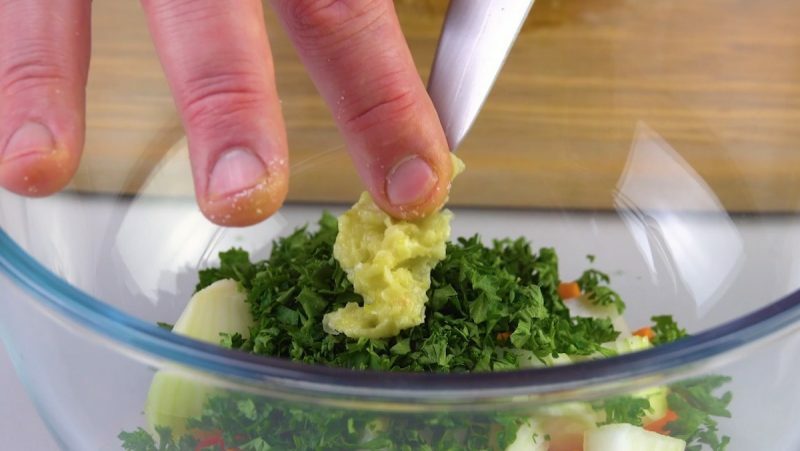 Then prepare the herb stuffing by combing the above ingredients. 2. Season the entire chicken and cavity with salt and spoon the herb stuffing into the cavity. Tie the chicken legs together with kitchen twine. 3. 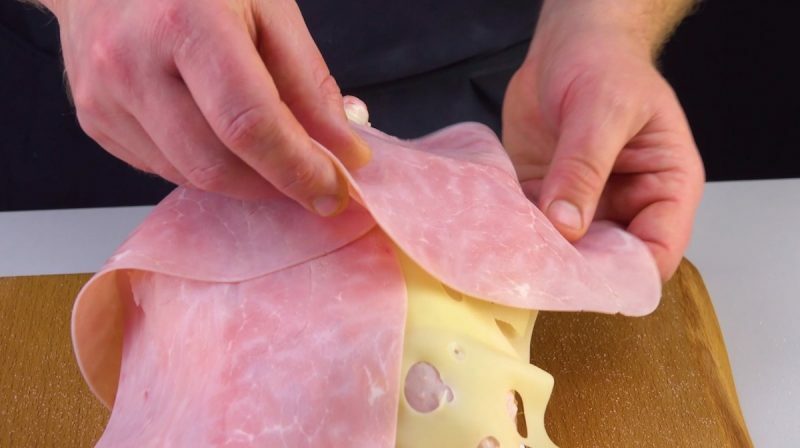 Dress the chicken with 4 slices of cheese and 4 slices of ham. 4. 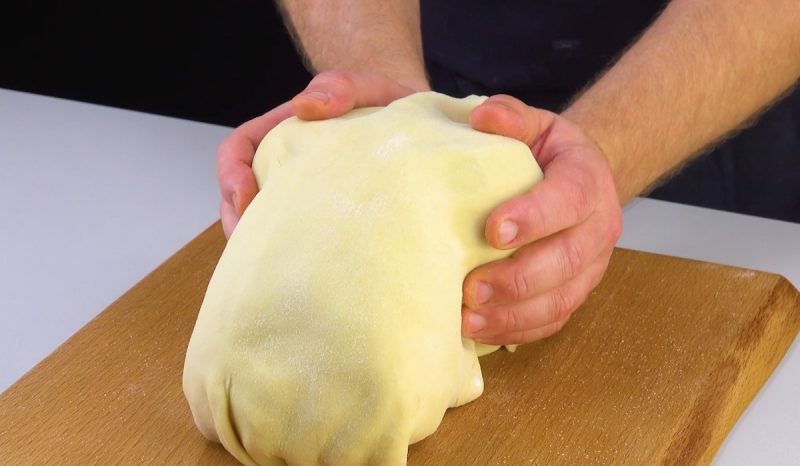 Roll out the pastry dough, and wrap it around the chicken. Brush the dough with an egg wash and cook for 60 minutes. 5. For the sauce, add the olive oil, carrots, and onions to a pan. Briefly sweat the vegetables with the chopped rosemary and garlic and then pour in the red wine. Finally, add the tomato paste and vegetable broth, and stir everything together. With so many delicious layers, this will soon become your new favorite recipe for Sunday dinner! You can find the recipe for the Drunken Chicken featured in the bonus video here.